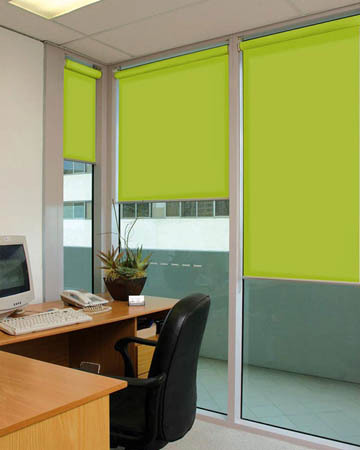 Highly versatile coverings since they can be used to cover windows in any space, whether used for living, recreational or business purposes, the green roller blinds we offer online are manufactured in the UK and are being offered online at cheap prices which include a variety of personalized features which are meant to redefine functional and design features. 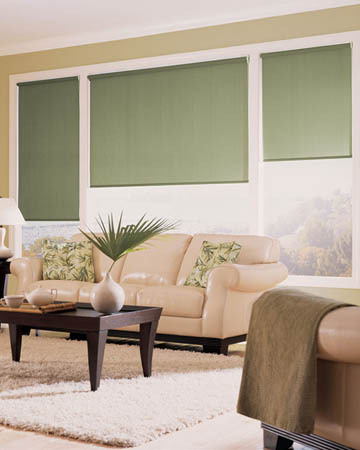 The most important optional features which will change the functionality of the green roller window blinds we sell is choosing a chain sidewinder control or a spring loaded operation. This will define the overall compactness of the window blind while the addition of a top cassette profile will complete the flowing design of the blind as it will fashionably hide the roller tube as well as the control system. The fascia of the cassette can be covered in the fabric design of choice as there are a variety of options. The lower end of the green rollers can also be personalized by choosing from scallop edge trimmed with braids in a variety of colours and styles and even equipped with cafe rods, on selected shapes. Also they come with various degrees of transparency from sheer to dim out. 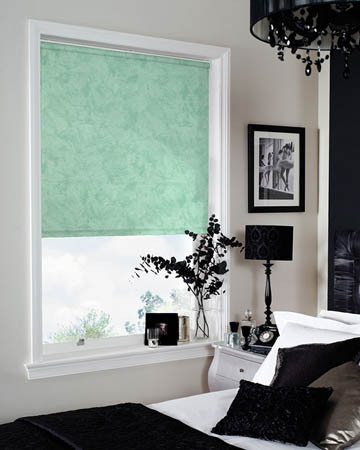 The shades in the green roller blinds line can be fitted in any room irrespective of the size of the window since they are provided in bespoke sizes.